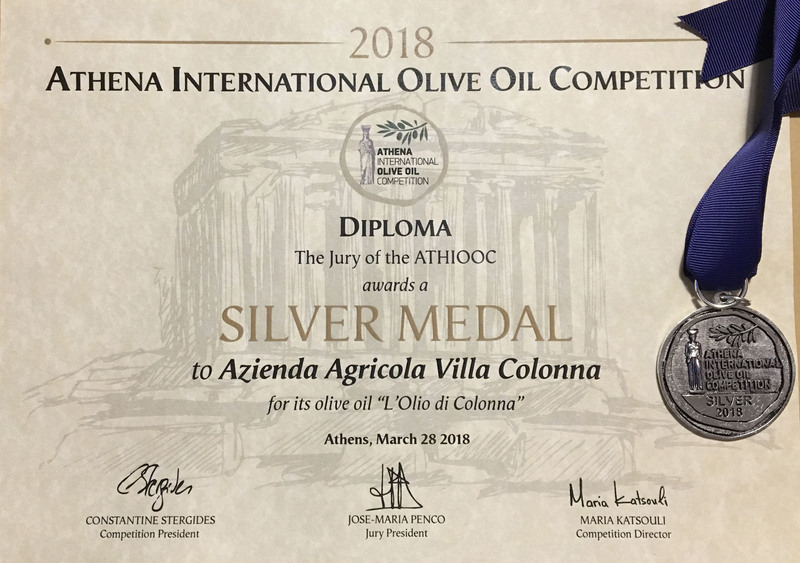 "Verdello" cultivar of Olio di Colonna won the gold medal during the Athena International Olive Oil Competition 2018. 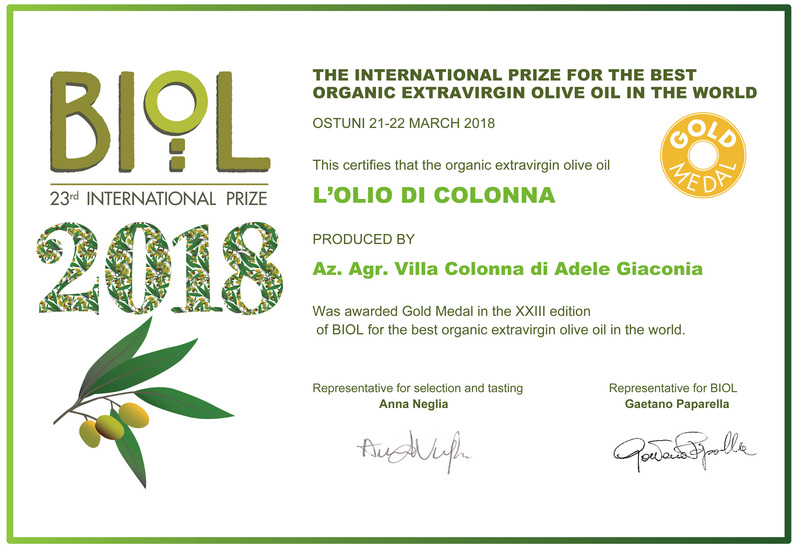 "Verdello" cultivar of Olio di Colonna won the gold medal during the BIOL 2018 award. 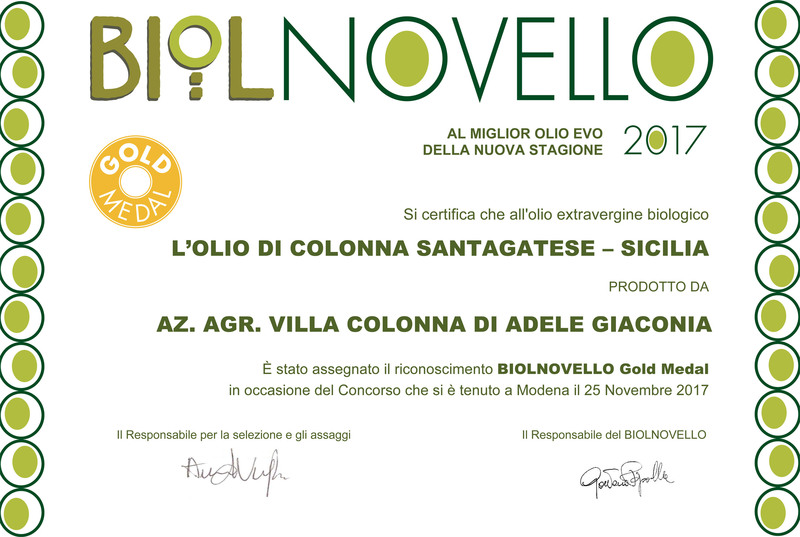 "Santgatese" cultivar of Olio di Colonna won the gold medal during the BIOL Novello 2017 award. 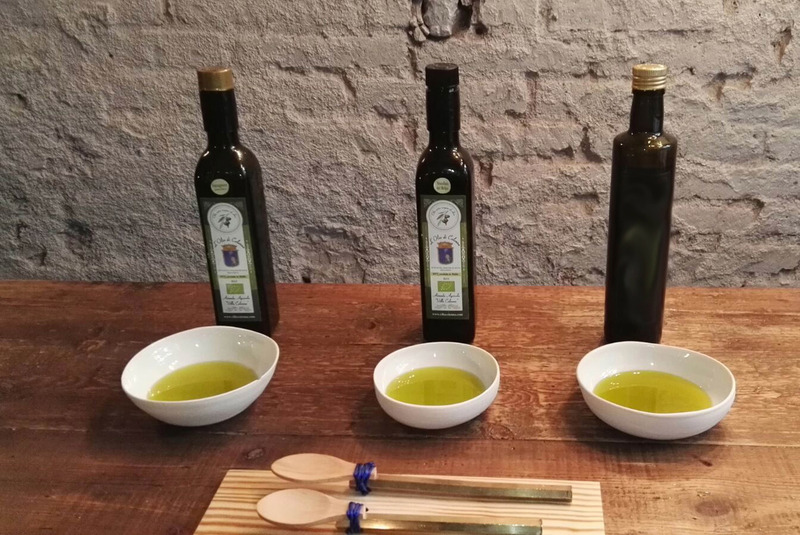 "Discubre la tradicion milenaria del pan y trigos antiguos sicilianos con una selecion de aceite de oliva Slow Food". Leccabaffi, famous Italian restourant in Barcellona, entitled this way the event, where lot of traditional sicilian products where exhibited. 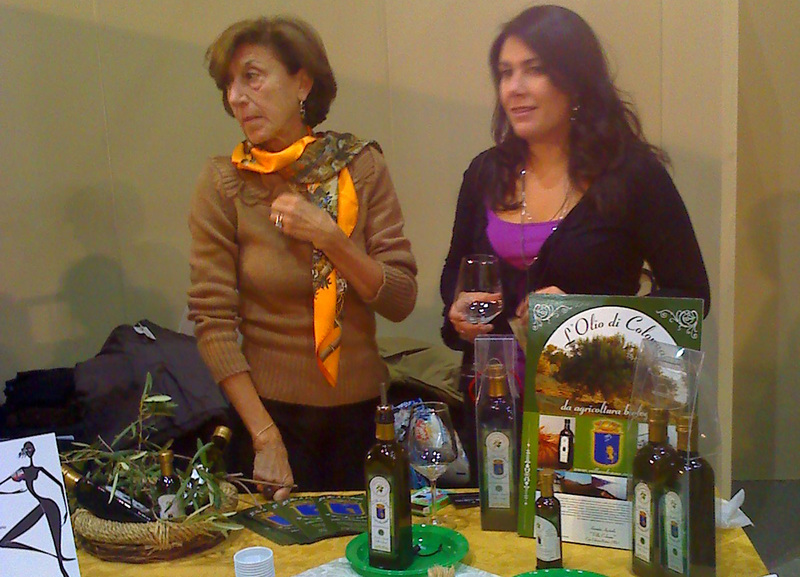 "Santagatese" and "Nocellara del Belice" cultivars of Olio di Colonna were shown and tasted among other sicilian foods. Here the Facebook page about the event. "Quality first of all". Italia a Tavola, daily web magazine about culinary arts, tourism, hospitality and food services, writes this is the first and outstanding characteristic own by L'olio di Colonna. Here there is the entire piece. "Vinitaly, not only about wine" writes Cronache di Gusto. "Olive oil is probably the agricultural product that, with the wine, best represents Sicily and its talents to grow, develop and evolve". 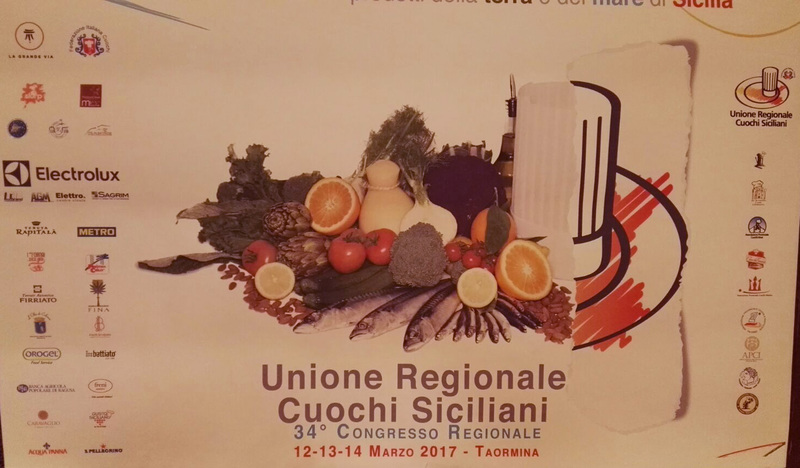 L'olio di Colonna is among the sponsors of the 34th Regional Sicilian Cooks meeting, that took place in the marvellous city of Taormina. 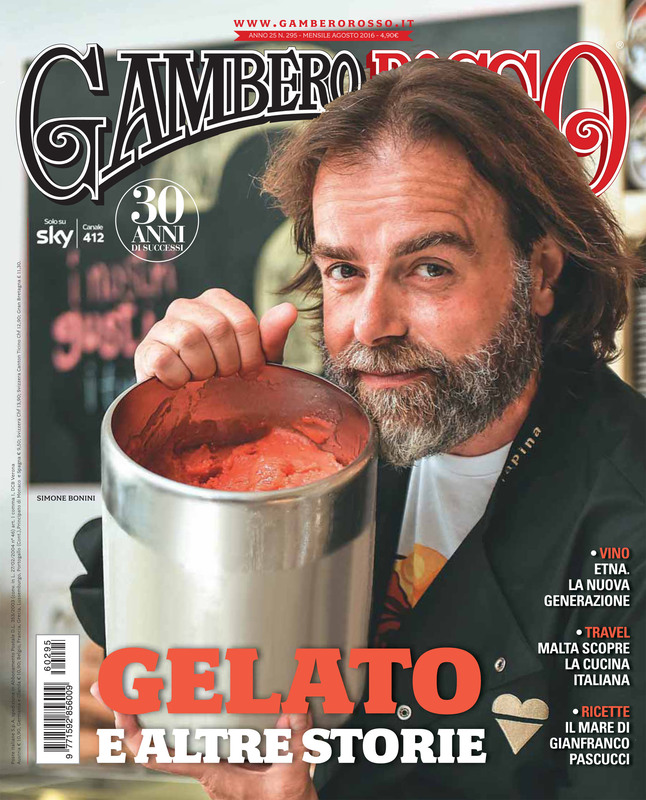 Il Gambero Rosso, well known italian food magazine, inside August 2016 issue talks about mounts Nebrodi and Villa Colonna in the Travel section. Here, there is a selection from the piece. 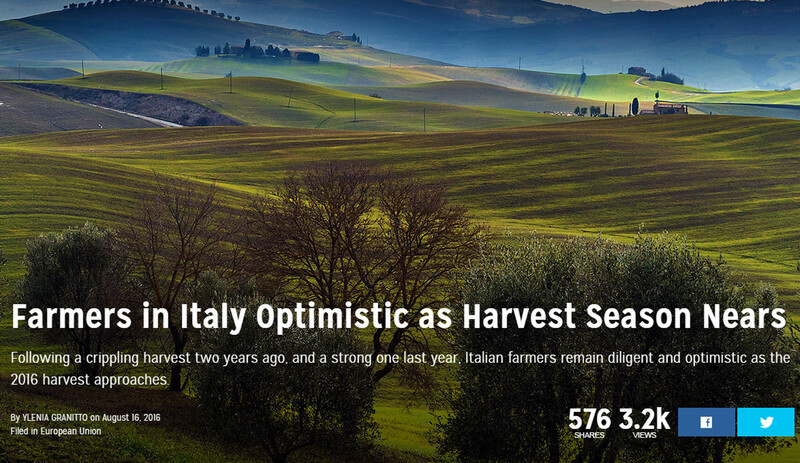 Villa Colonna is mentioned in the piece: ''Farmers in Italy Optimistic as Harvest Season Nears'', by Ylenia Granitto, published on Olive Oil Times, the world's #1 source for the latest olive oil news and information. 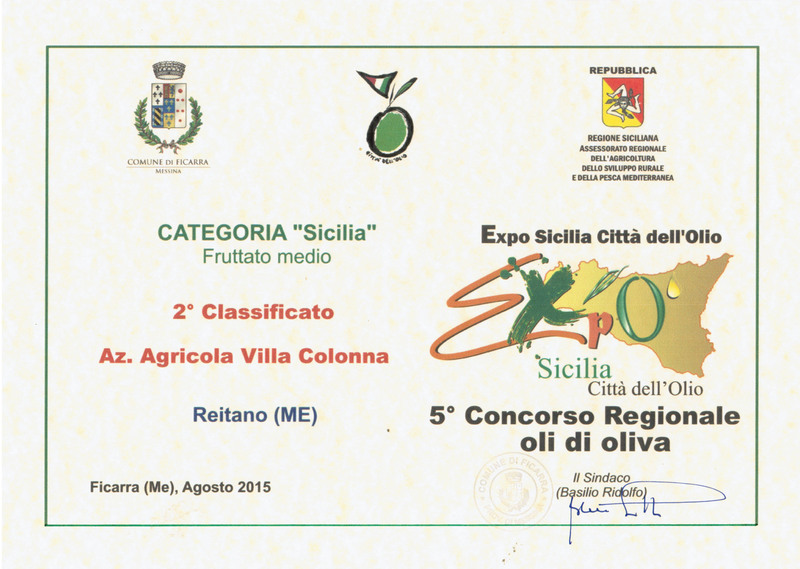 L'olio di Colonna was awarded twice at the 6th Regional Competition for Olive Oils that took place in Ficarra (ME), winning a First Prize in the “Sicilia” - lightly fruity category, and again a First Prize in the “Monocultivar” - lightly fruity category. Here, there is the competition rank. 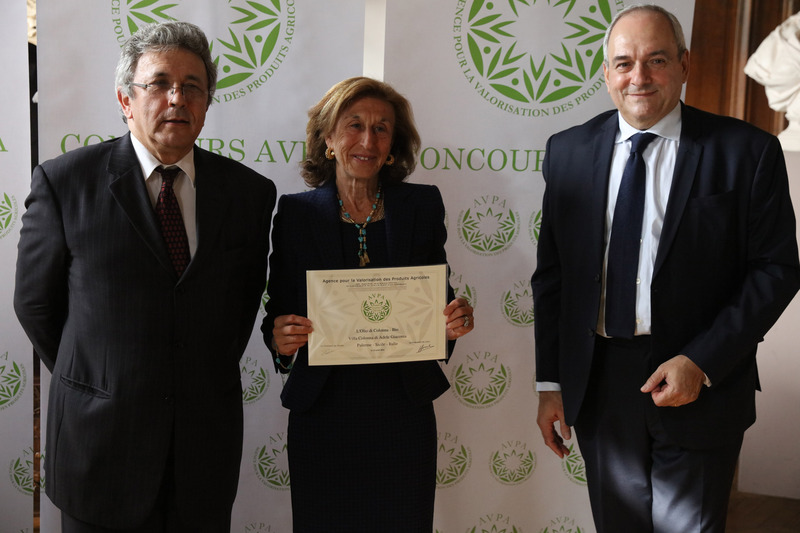 L'olio di Colonna won the Gourmet Diploma for the "Medium ripe fruity" category, during the AVPA Contest 2016, Agence pour la Valorisation des Produits Agricoles. 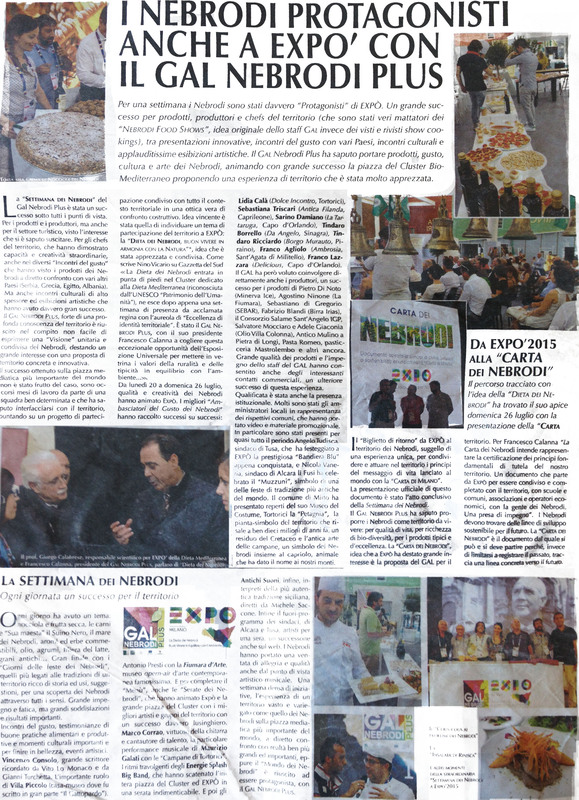 "La Repubblica", one of the most important italian daily newspapers, relates about "GAL Nebrodi Plus" activities at EXPO 2015. GAL, Group for Local Action, is an association estabilished to promote and develop turism in the Nebrodi's area. Here the newspaper pieces. 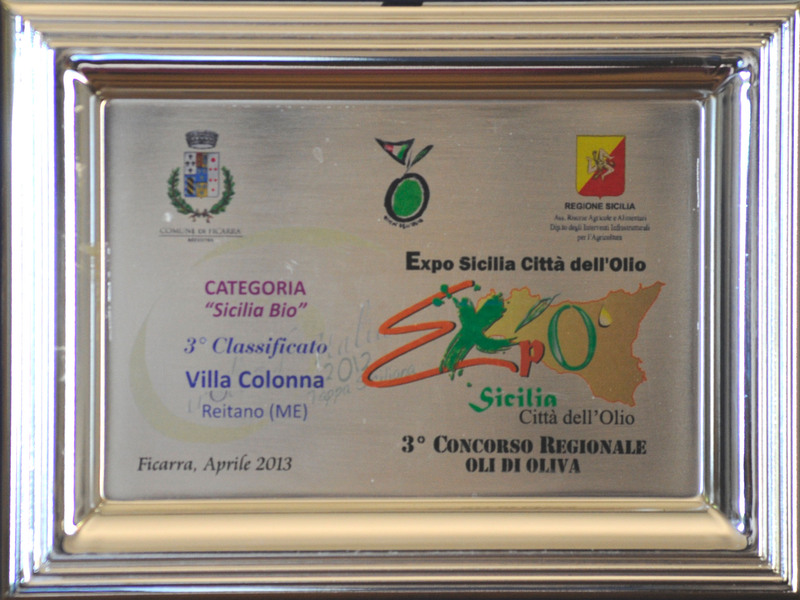 L'olio di Colonna was awarded the second prize in the "Sicilia" category at the Regional Competition for Olive Oils. 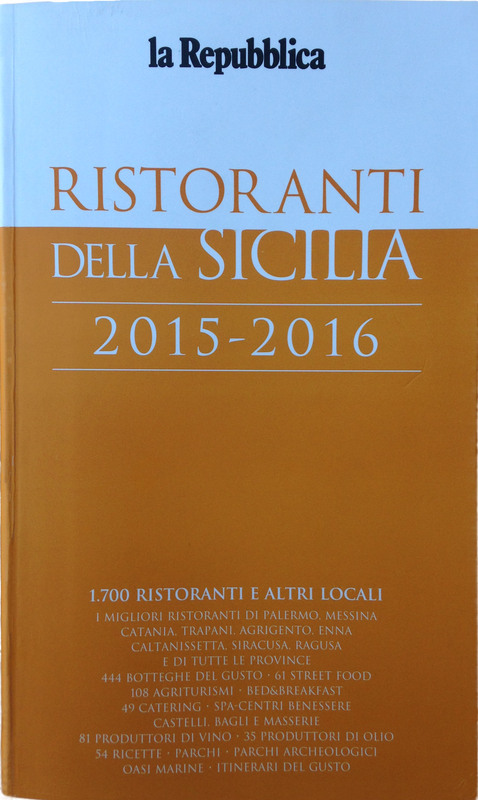 "La Repubblica", one of the most important italian daily newspapers, publish in Villa Niscemi, Palermo, "Sicily's Restaurant Guide 2015-2016", a collection of thousands profiles about restaurants, pizzerias and inns in Sicily; moreover, 444 pubs, 61 street food locations, 108 farm holydays, 49 catering, 81 wine producers and 35 oil producers can be found. Here our farm profile can be read. 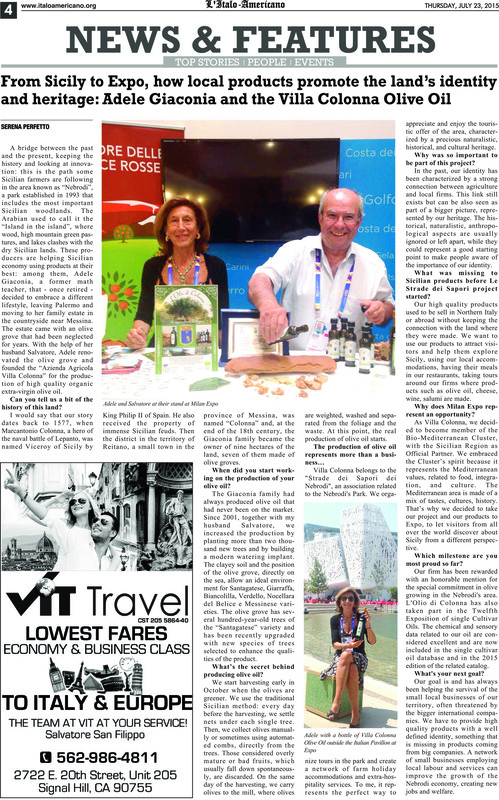 L'Italo-Americano, a californian newspaper, in today's "Top Stories" section, writes about Villa Colonna and its products, and about EXPO 2015 partecipation. 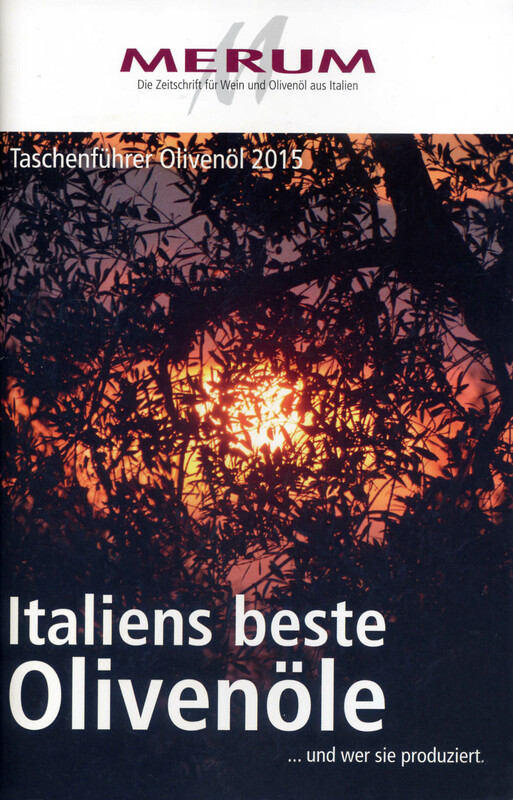 The firm was rewarded with an honorable mention at the Regional Competition for Extra Virgin Olive Oils, 2015 edition, that took place in Aidone (EN). 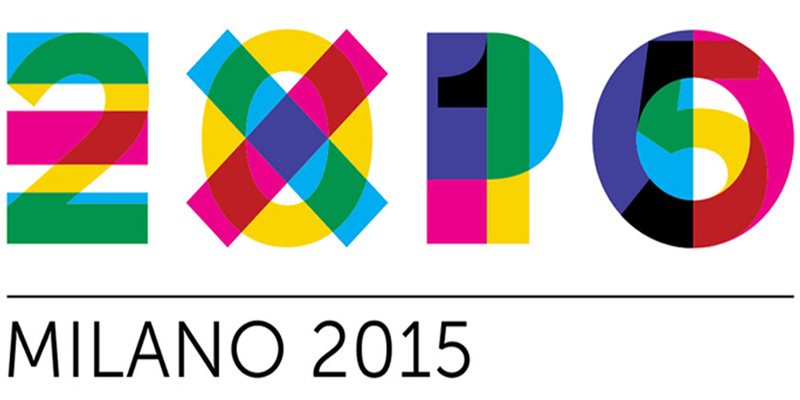 Villa Colonna takes part in Expo, the Universal Exhibition that Italy will host from May 1st to October 31st, 2015, as Bio mediterraneum cluster member. 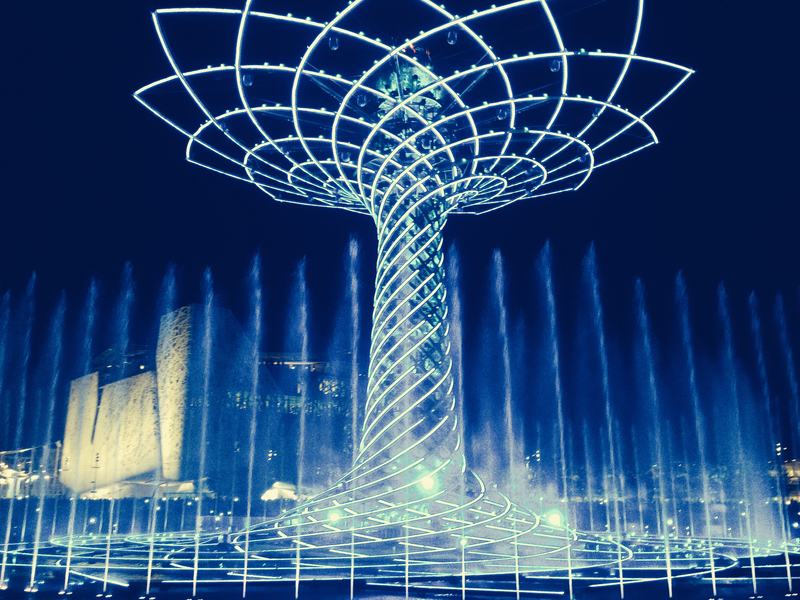 Regione Sicilia is the Official Partner of the cluster. 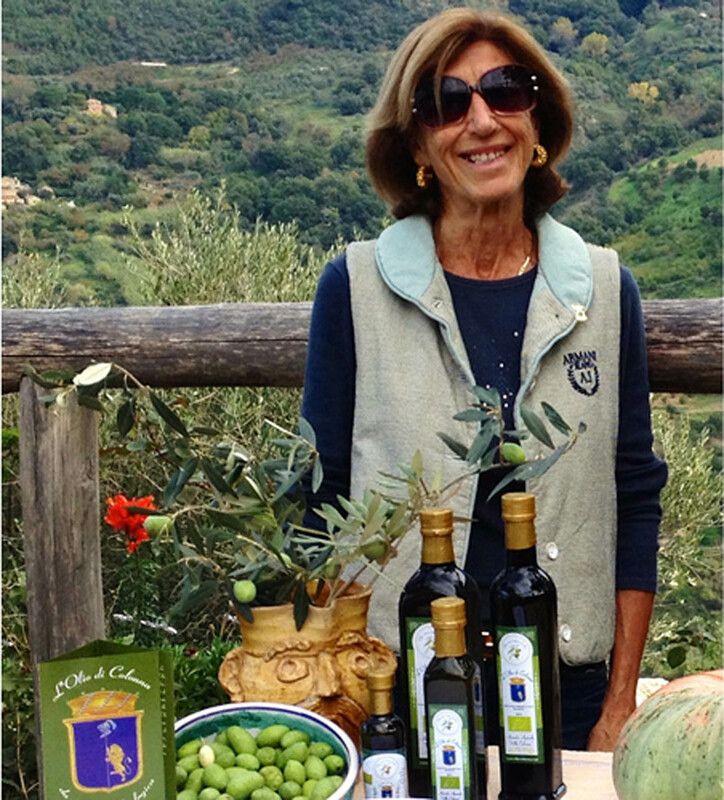 Villa Colonna oil is the protagonist from the 20th to the 27th of July and again in September. 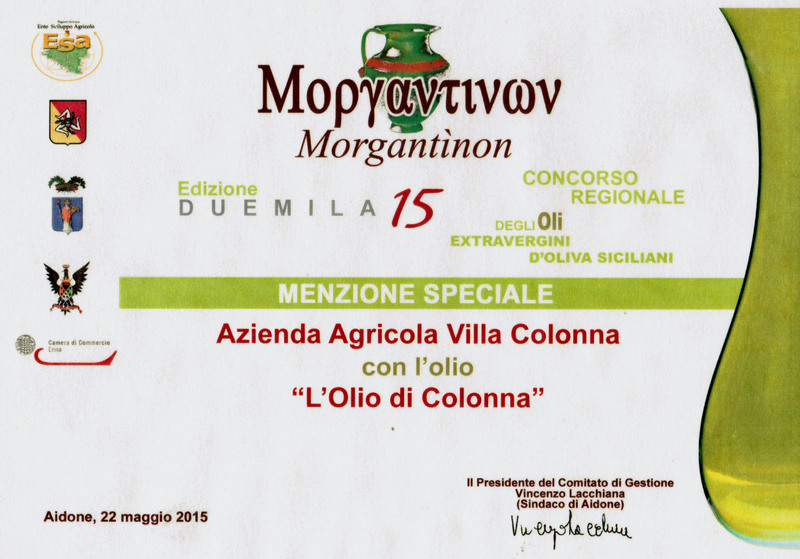 L'Olio di colonna is now part of the 2015 MERUM catalogue. Merum is a german magazine focused on italian wine and olive oil industries; they publish yearly the rank of the best italian olive oils. L'Olio di colonna is now part of them. L'Olio di Colonna, ranking 8 to ASSAM Panel Test, will take part in the Twelfth Exposition of single Cultivar Oils and will be included in the 2015 edition of the related catalog. Chemical and sensory data relate to the test, will be used to update the single cultivar oil database. 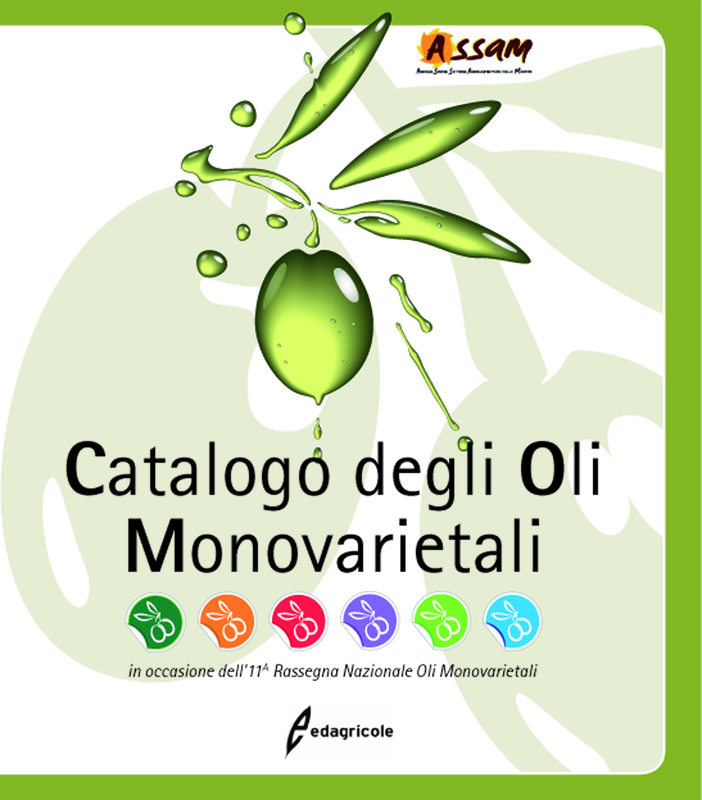 The Twelfth Exposition of single Cultivar Oils will show in San Benedetto del Tronto (AP) on June the 20th and 21st 2015. 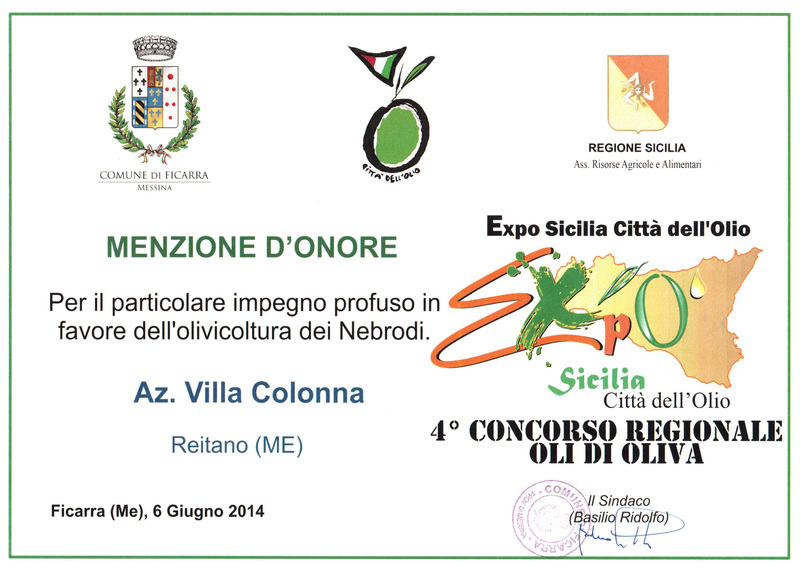 The firm was rewarded with an honorable mention for the special commitment in olive growing in the Nebrodi's area. Villa Colonna belongs to the "Strade dei Sapori dei Nebrodi", an association promoted by Nebrodi's Park. 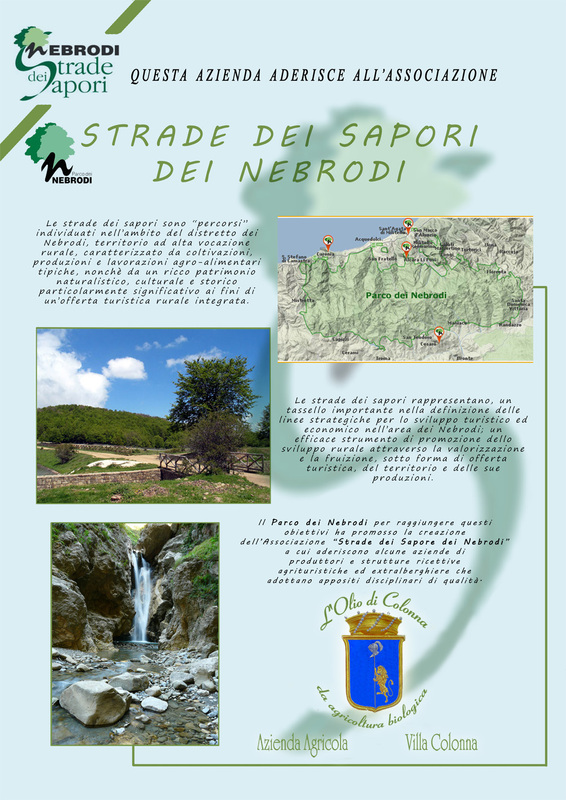 "Le strade dei sapori" are "tours" inside Nebrodi's Park, which create a network of farm holiday accommodations and extra-hospitality services. "Le strade dei sapori" are the perfect way to appreciate and enjoy the touristic offer of the district, characterized by a very rich naturalistic, historical and cultural heritage. 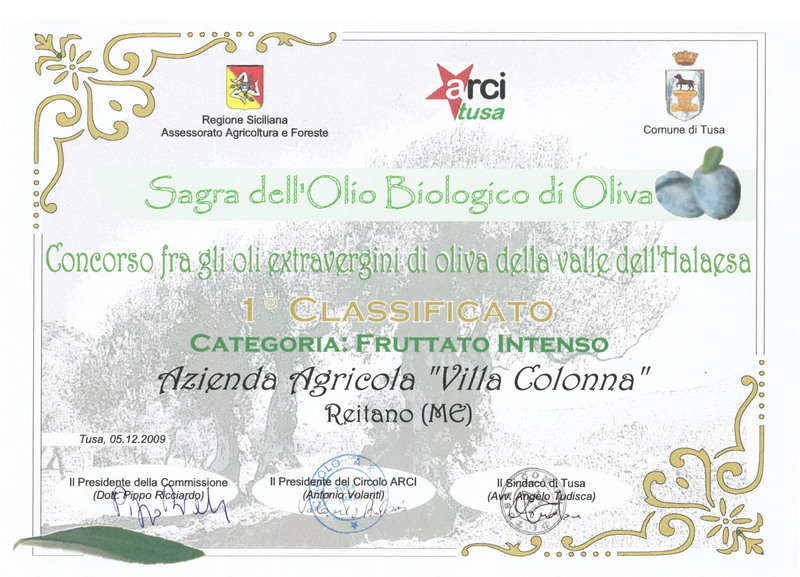 L'olio di Colonna was awarded the third prize in the "Sicilia Bio" category at the Regional Competition for Olive Oils, taking place in the astounding Convent of Frati Minori Osservanti, in Ficarra (ME). This little Sicilian town inspired the Italian writer Tomasi di Lampedusa, who sojourned in Ficarra while writing his famous masterpiece, "Il Gattopardo”. 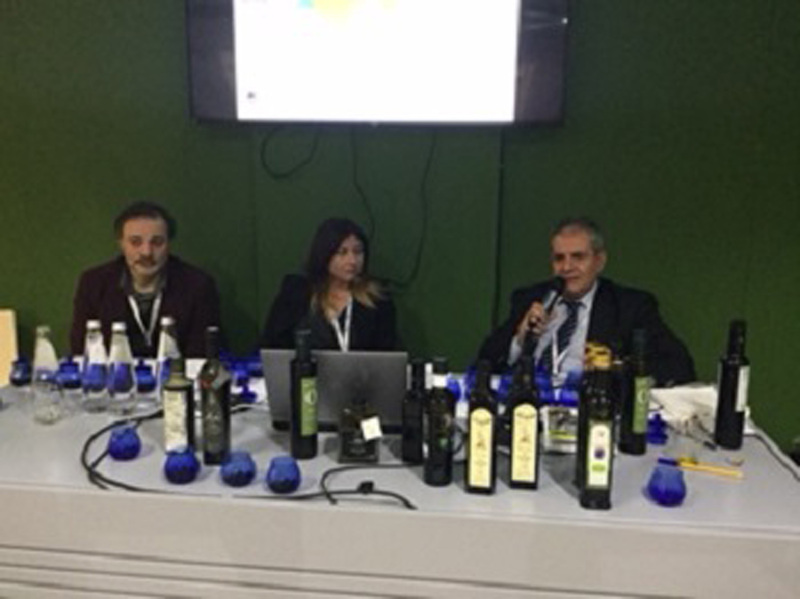 Villa Colonna participated in "Olio Capitale", an exhibition involving 200 oil producers, with more than 11.000 people attending the show. A summary of the exhibit can be found on the blog Habemus Pappam. "L'olio di Colonna" is the oil of the week on the blog "Cronache di Gusto". L'olio di Colonna was awarded the first prize in the "Fruttato Intenso" category. Villa Colonna was present at "Degustivina", a high quality wine and oil exhibition, set in the old railway engines warehouse of Palermo. 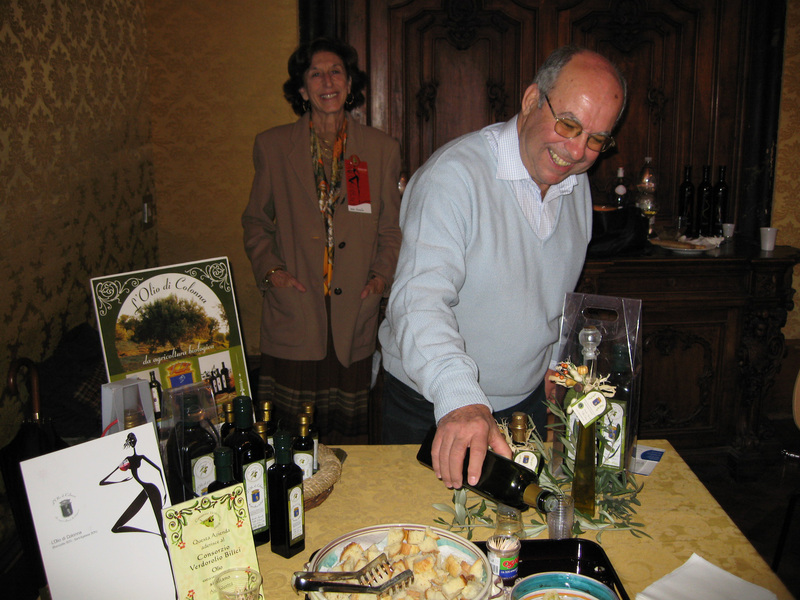 Villa Colonna was present at "Degustivina", a high quality wine and oil exhibition, set in the Prince of Butera Palace.